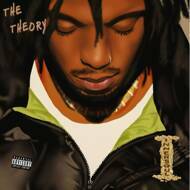 Not very much is known about MC Innersoul and his 1996 album “The Theory”. Innersoul only recorded a few releases for Mix-It-Up Records including his milestone in album Conscious Rap around 1996. Then he just disappeared, making his album “The Theory” a sought-after classic. Finally, Smoke On Records presents this great album for the first time on vinyl.